"Title Choice, LLC. Title Insurance and Closing Services. The Choice is Clear." Protecting The Biggest Investment of Your Life. 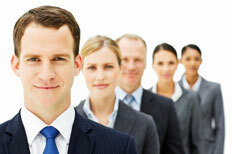 At Title Choice, we are proud to serve you with the highest quality of professional support and service. Based on our expertise and experience, we are confident that you will know you made the right Choice. The process of selecting a title agency to provide you with title insurance for your real estate transaction is simple. Read more about Our Process. The steps for getting started for your upcoming closing are very easy. You can read about how to get started by clicking here.